KUALA LUMPUR: Eastern & Oriental Bhd (E&O) aims to bolster its working capital position by raising RM500mil to prepare for high-end property launches worth RM4bil, said executive director Eric Chan. The projects would be launched in the coming months amid the recovery in the economy after a dry spell in terms of new launches in the second half of 2008 and part of 2009, he said. “We have RM4bil worth of sales to be launched but to do this, we need working capital, especially when it is a condominium. Even if we sell 10%, we still have to construct the rest,” Chan said after the company AGM and EGM yesterday. The property developer will raise its working capital internally by disposing of stocks and non-strategic landbanks to raise RM300mil. The remaining RM200mil will be raised via a 1-for-2 rights issue which is expected to be completed by November, according to Chan. The group plans next month to launch its Seri Tanjung Pinang condominium on Penang island, which has a gross development value (GDV) of RM2bil. In the Klang Valley, it will this weekend open for sale Phase 2 of its St Mary Residences, or Tower A, which has a GDV of RM750mil. It has also marked up considerably the price of this phase by 25% to RM1,250 per sq ft.
Chan justified this by saying the new phase would be completely fitted out, unlike the previous phase which only had kitchen fittings. “Phase 2 will come with lighting, right down to wardrobe and curtain railings. To make it easier for buyers, they do not need to pay for loan documentation, unlike the first phase,” he said. E&O is also preparing to launch its Jalan Conlay condominium, another project at Jalan Yap Kwan Seng as well as an office tower development which forms part of the St Mary project. The company aims to sell at least 20% of St Mary Residences Phase 2 to foreigners and is currently on a sales campaign in Singapore, Hong Kong and Guangdong, China. Chan said the company, like any other property development company, needed two years to realise profit. “A profit in 2008 is due to sales in 2006,” he said, adding that the group would, therefore, have to keep the momentum going. E&O suffered a net loss of RM31.7mil for its 2009 financial year compared with a net profit of RM128.5mil in the previous year. Chan said the company had a current gearing of 0.79 which would be reduced to 0.46 with the rights issue. This could be further reduced to 0.16 with RM300mil to be raised via the disposal of stocks and non-strategic landbanks, he added. The property developer has total borrowings of nearly RM900mil. Property developer Glomac Bhd is looking to launch at least three new developments for the financial year ending April 30 2010, with a combined gross development value (GDV) of over RM550 million. Group managing director Datuk FD Iskandar is optimistic that the local property market will improve by the second half of next year to boost sales. It plans to launch the second phase of its RM180 million Glomac Cyberjaya project by the middle of next month. The second phase comprises 24 units of shop offices with a GDV of RM50 million. Glomac bought 8.1 acres of land in Cyberjaya in 2008 and was the first to offer three-and-half-storey shop offices there. Also in the pipeline is a commercial project on 1.3 acre freehold land in Mutiara Damansara, Selangor, which has an estimated GDV of RM250 million. The development, surrounded by the commercial hubs of Ikea, Tesco and The Curve, will encompass retail spaces, office suites and a corporate office. Glomas will also launch the second phase of the Plaza Kelana Jaya, a land that formerly housed the famous Kelana Seafood Centre. Iskandar said Glomac aims to launch the fourth phase of the Plaza Kelana Centre with a GDV of some RM250 million. "The development will be on a 3.2 acre freehold land that includes an office block, a neighbourhood shopping mall and office suites," he told Business Times yesterday. Also in the plans are the launch of another phase at its Saujana Utama township in Sg Buloh, Selangor, in November. "In this financial year, we are looking to launch at least three new phases," said Iskandar, adding that two phases have already been launched this year with the first sold out and the second up to 90 per cent sold out. Iskandar also revealed that Glomac is close to acquiring at least two new landbanks before the year-end. He said the company is talking to several parties to acquire land namely in the Klang Valley for commercial development. He said the new land will be small in size, but have a high GDV and fast turnaround of about four to five years. PETALING JAYA: Malaysia has a relatively matured construction industry but the quality of the finished product should not be overlooked, Housing and Local Government Minister Datuk Seri Kong Cho Ha said. “The recent spate of building failures and regular complaints of defects of completed properties should be a wake-up call for all stakeholders of the construction industry,” he said, adding that improving quality entails enhancing efficiency and productivity. He said this after officiating The Star’s first “Property Fair Kuala Lumpur - Stylish Living” at Menara Star here yesterday. “The Star’s effort is a good contribution not just for the property market’s growth, but also for the whole construction industry. It can drive the whole supply chain of the building industry,” Kong said. Also present at the event were Star Publications (M) Bhd executive deputy chairman Datuk Clement Hii, executive director Ng Beng Lye, group managing director/chief executive officer Datin Linda Ngiam and group chief editor Datuk Seri Wong Chun Wai. Ngiam said The Star has been holding annual property fairs in Penang over the past seven years. “The amazing response from both exhibitors and visitors to the property fair explains why it is currently the leading property fair in Penang,” she said in her speech at the event. “With such growing success each year, it only seems right that we should hold a similar one in Kuala Lumpur. But in saying that, there are more compelling reasons that influenced our decision to start one here,” she added. The property fair will be held from Nov 27 to 29 at the KL Convention Centre in Halls 4 and 5, from 11am to 8pm. Admission is free. Visitors will get to view the latest offerings by renowned developers involved in building luxury bungalows and exclusive condominiums. Representatives from participating financial institutions and the Employees Provident Fund (EPF) will also be around to provide assistance. Ngiam said there will also be talks and forums conducted by industry experts on topics like property investment, feng shui and home inspirations. The fair will be fully supported by The Star’s print, radio and on- line media. Meanwhile, Ngiam also officially introduced The Star’s StarProperty portal – www.starproperty.my. This site features the latest on auction listings, news and reviews of local and international properties and lifestyle articles. “The site which is barely two months old has over a million hits and over 47,000 property listings,” she said. Construction group Ireka Corp Bhd has been pre-qualified to bid for more than RM2.5 billion worth of infrastructure and building construction projects in Malaysia. Ireka, which has been involved in construction since 1967, has bid for almost half the projects, two of them in a joint venture with foreign parties, its executive director Lai Voon Hon said. Lai said the group will tender for the remaining jobs by the end of its current fiscal year. "The results are expected to be known early next year and new projects would contribute significantly to our earnings in 2010 and 2011," he said after the group's shareholders meeting in Kuala Lumpur yesterday. Lai said in future Ireka wants to focus on high-end residential and commercial development, in addition to infrastructure projects, riding on the lower construction material costs. The company is eyeing government jobs like road and highway construction, housing, and extension of the light rail transit and Sepang low-cost carrier terminal projects. In Vietnam, Ireka is exploring infrastructure-related projects. Meanwhile, Ireka director and group financial controller Monica V.H. Lai said the group is expected to do better in the current financial year ending March 31 2010, given the value of jobs in hand. KUALA LUMPUR: Ireka Corp Bhd, whose construction order book currently stands at RM964mil, plans to maintain its quantum of dividends for the next few years, says group financial controller Monica Lai. Ireka shareholders approved a final net dividend of 4.35 sen for the financial year ended March 31, totalling RM5mil and equivalent to about 82% of the year’s net profits. Ireka will announce the ex-dividend date next week. “Going forward, Ireka’s earnings will be boosted by lower construction costs as the price of building materials has softened. With a moderate gearing level of 0.45 times, we should be able to take on more borrowings for new projects,” Lai told reporters after the company AGM yesterday. For its first quarter ended June 30, Ireka posted a net profit of RM3.46mil, making it the third straight quarter of profits after earlier losses caused by the sharp surge in building material costs. The construction company had also said it had been pre-qualified for over RM2.5bil worth of jobs, mostly related to government infrastructure and private sector residential and housing projects in Malaysia. Ireka, which in the last 3 years has only been involved in projects from its associate company, property developer Aseana Properties Ltd, is now aggressively seeking work from outside the group. “For the last three years we have relied on work from Aseana due to market conditions which included a shortage of construction expertise and high material prices such as steel bars. But we are now poised to win work from outside the group, having built up the necessary track record and expertise,” said executive director Lai Voon Hon. Ireka owns 23% in Aseana Properties, which was listed on the London Stock Exchange (LSE) in 2007 as a closed-end fund investing in high-end properties in Malaysia and Vietnam. Among its projects are the completed i-Zen brand of luxury properties and the on-going SENI Mont Kiara, the latter making up a significant portion of Ireka’s current order book. SENI Mont Kiara, whose sales slowed due to the softening property market since its launch in 2007, had been 60% sold to-date, said Voon Hon. Weak sentiment on property stocks has also dampened the stock price of Aseana Properties on the LSE, with its share price hovering around 31 US cents, below its net asset value of 91 cents and its initial public offering price of US$1 per share. Despite the low price, Ireka has no plans of significantly increasing its holding in Aseana Properties or taking the latter private. “We listed Aseana as a high-end property investment vehicle focused on Malaysia and Vietnam. Many of our investors will not be looking at selling out now as they know the potential (of Aseana),” he said. Aseana Properties had around US$67mil in cash as at the end of last year. KUALA LUMPUR: The Genting group is teaming up with New York-listed Simon Property Group to venture into upscale outlet shopping in Malaysia under the Chelsea Premium Outlet Centres concept. Genting said on Wednesday, Sept 30 that its 54.7%-owned Genting Plantations Bhd's unit Azzon Ltd had signed a joint venture agreement with Simon's Chelsea Malaysia LLC to establish the centres. Under the JVA, Genting Plantations and Simon will form a 50:50 JV called Genting Chelsea Sdn Bhd to invest and operate Premium Outlet Centres in Malaysia. The first project is the Johor Premium Outlets, to be built in Kulai, Johor, which is set to be the iconic flagship outlet centre in the Southeast Asian retail market. Johor Premium Outlets will be located at the intersection of two major highways that serves this region and is expected to attract the local residents as well as international visitors from Southeast Asia. Expected to open in 2011, the centre aims to synergise with Genting’s existing property operations and the group’s leisure and hospitality footprint in the region. SUNWAY Construction Sdn Bhd (SunCon), a wholly-owned subsidiary of Sunway, has won a RM147.36 million contract from Putrajaya Holdings Sdn Bhd to build a commercial project in Putrajaya. Under the deal, SunCon will design, construct and complete a 16-storey three-star hotel and an 11-storey office tower on Plot PZ10, Parcel Z, Precinct 1, Putrajaya. 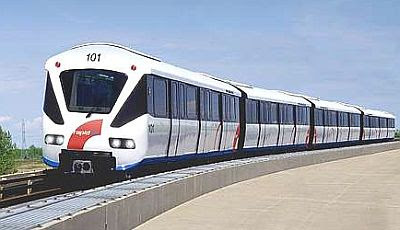 The proposed project is expected to commence on October 7 2009, with completion in three years. It is expected to contribute positively to the earnings of the group for the financial year ending December 31 2010 onwards. CATALYTIC developer of Iskandar Malaysia, Iskandar Investment Bhd, expects to tender out RM2 billion worth of projects in the next 12 months, president and chief executive officer Arlida Ariff said today. The tenders comprise RM1 billion worth of infrastructure projects under the Ninth Malaysia Plan and another RM1 billion worth of other infrastructure and construction projects, she said. "These infrastructure and construction projects will likely take six to 24 months to be completed," she told a media briefing on the sidelines of the Ninth Forbes Global CEO Conference. This will involve infrastructure in Medini and EduCity as well as residential units for students in Newcastle University Medicine Malaysia. Iskandar Investment currently owns two per cent of the whole Iskandar region which encompasses 2,200 square kilometres of land. High-end property developer Eastern & Oriental Bhd (E&O) is well-poised to capitalise on the improved market conditions, managing director Datuk Terry Tham says. "Our strong brand and proven track record has helped with successes achieved at our recent property launches," he said in a statement today. E&O's new launches since June, namely the St Mary Residences in Kuala Lumpur and Seri Tanjung Pinang's seafront terraces and serviced residences, achieved at least 80 per cent take-up rates within a few weeks, he said. He said the resounding response to these launches provided the impetus for the company to unveil the second block of St Mary Residences, Tower A, via a soft launch in Singapore and Hong Kong in August and September. "The official launch of St Mary Residences Tower A is slotted for early nex tmonth and will be followed by the Phase One launch of the Seri Tanjung Pinang Condominiums later in the month," he said. Tham said that with the stream of property launches lined up for the next 12 months, E&O expected its financial position to continue improving in the next quarter and in the year ahead. This would be supported by E&O's strengthened internal position, achieved through its pre-emptive balance sheet management strategy and rebounding economic conditions, he added. E&O registered a net profit of RM5.7 million and revenue of RM73.9 million for the first quarter of the financial year ending March 31, 2010. Tham also said the RM200 million that the group expected to raise through a one-for-two rights issue (irredeemable convertible secured loan stocks) which is expected to be completed in November, coupled with the disposal of existing inventories and non-strategic assets would ensure that the company would be well-funded to drive the development of its upcoming launches and capitalise on opportunities. Domestic interest in Malaysian property is now higher compared to that from overseas in contrast to a year ago, an analysis by thinkproperty.my showed. The property website analysed its visitor traffic data over the last three months and compared it with the status last year. The data is pertinent because in 2008, 82.7 per cent of visitors were from Malaysia, while in 2009, that proportion rose to 85.2 per cent. Over 80 per cent of the visitors were interested in buying or renting property in Malaysia, Thinkproperty.my said in a statement today. While there was increased interest from Malaysian property buyers, it was less among those from countries such as Singapore, the United Kingdom, India, Australia, Japan, the United Arab Emirates (UAE) and Pakistan, it said. Asim Qureshi, the chief executive officer of Think Media Sdn Bhd, the company that owns thinkproperty.my, commented that the data provided mixed signals. "On one hand, it indicates the confidence of Malaysians in investing in property has increased in contrast to those from overseas. 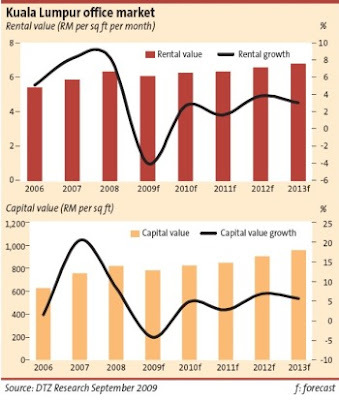 "This is to be expected because Malaysia’s property market has been stable. The Malaysian experience of seeing property as an investment has also been more positive compared to those of most other countries," he added. "However, the negative is that we are not seeing as many foreigners interested in Malaysian property," he said. According to Qureshi, Malaysia is doing a good job of getting the Malaysian story across overseas in marketing itself as the gateway to Asia, the lack of a property gains tax, liberal ownership rules as well as a strong banking sector. "These are all strong pull factors for the country. However, the weak global economy must be the prime culprit for the lower level of foreign interest this year. There is not much Malaysia can do about it, except wait," he said. On a positive note, he said, there was some increased interest from China, Vietnam and Thailand, though Hong Kong’s level was unchanged. "In my view, this should be a hint for both the government which is trying to promote Malaysia’s real estate abroad as well as developers trying to do the same. "The focus should increasingly be Asia. Asia is leading the world out of recession. Asian investors will likely play an increasingly important role in Malaysia’s property market in future," he highlighted. Eddie Chen, the head of Marketing of Think Media Sdn Bhd, pointed out that Thinkproperty.my’s absolute visitor figures have risen by 409 per cent from this time last year. "This is the result of a shift from people searching for property in traditional classifieds to searching online. "The shift has been dramatic and in my view, it’s merely the tip of the iceberg. We are conservatively expecting traffic to increase at least a further 300 per cent between now and 2010,"
PETALING JAYA: Australian properties have always attracted a sizeable number of Malaysian investors and the reasons are obvious. The country’s close proximity to Malaysia, strong economy, political stability and the number of Malaysians studying Down Under make it probably one of the most favoured destinations for many locals – for a long or short stay. A property analyst from Australia said these factors aside, one of the main reasons for Malaysians (with permanent resident status) buying Australian properties had been the steady property capital appreciation over the past decade or so with impressive double-digit capital growth per annum posted in all states. He said even with the global economic downturn, the Australian economy remained robust, thanks mainly to the Government’s A$42bil stimulus package. 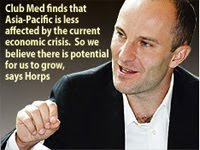 The analyst said on record, Australia was the only developed country in the world that did not experience a recesssion. One of the measures taken by the Australian Government was to allocate A$6.4bil for the housing sector to help Australians own their homes. And this is where many property developers, real estate agents and those related to the construction industry, as well as ordinary Australians and those with permanent residence, have benefited significantly during the economic downturn. In fact, in recent times, a number of Australian companies have found it lucrative to market their properties in Malaysia. One such company is Shac live + invest, which had a two-day launch and exhibition of three of its properties in Kuala Lumpur during the weekend. Shac managing director Deniz Sivasli said the company had conducted several launches and exhibitions here since 2007 and found Malaysian property investors very receptive. “Property sales here have been very encouraging, which is why we are back again to promote the balance of our unsold units in three of the projects, which are located in prime locations in Melbourne,” he said. The three projects are the Grantham Melbourne in Brunswick (about 20 unsold units), High Apartments in Prahran (three units) and EDGE Sandringham (18 units). All the units are fully furnished and are going from A$179,000 to A$369,000 each. Shac’s marketing agent in Malaysia is AP Properties Sdn Bhd. Sivasli said the uptake of its properties had been phenomenal, especially since the Government’s initiative to increase the grant for first-home owners. “In Victoria, first-home owners can expect to receive A$32,000 from the Government for the purchase of their first house, provided they meet all the criteria and sign the sale and purchase agreement by Sept 30,” he said. It is understood that after the date the full grant will not be available. “We know there are a number of Malaysians with permanent Australian resident status who are eligible for the grant and have not purchased property in Australia,” he noted. Sivasli said most first-home buyers were either young Australians, retired singles or new migrants/permanent residents, who wanted a place near the city. On the yield, he said generally Australian properties had a yield of 3.5% to 4.5% per annum, depending on location but, based on track record, the properties sold under Shac had annual yields of around 6.6%. He also said Australian properties would generally double in value in seven to eight years. “Shac is able to get better than average yield because our company is a boutique property developer and we build customised properties in selected areas within the city after an in-depth study on the needs of a particular community and its disposable income,” he said. On the impact of the stronger Australian dollar in recent months (A$1=RM3.01 as at Sept 25), he said it would have an impact on sales but potential first-time home owners should think long term and also factor in the grant. They needed to deposit only 10% of the purchase price and 80% financing from Australian banks was available, he said. Jalin Realty International Pte Ltd chief executive officer Ian Chen said Australian properties were much sought after by Malaysian and Singaporean investors. “We have been marketing Australian prime properties for several years and the market is definitely good,” he said, adding that many Asians, including Malaysians, were familiar with Australia and its lifestyle. Jalin Realty is a real estate and marketing agent for Australian property developers that offer luxury and top-of-the-range properties to high-end net worth individuals. Chen said houses and apartments in Victoria, especially in the city of Melbourne and suburbs, were much sought after, especially by Malaysians. “The auction ratings for homes in Victoria are about highest among all the states,” he said. On the impact of the strong Australian dollar, he said many of Jalin Realty’s customers were very affluent. Besides properties in Victoria, the company also markets prime properties in the Gold Coast. Figures from the Housing Industry Association, released on Sept 24, showed new-home sales nationally increased by 11.8% in August – the best monthly result in over 3½ years. Lembaga Tabung Haji is setting up a hotel and complex for pilgrims near the international airport in Kuala Terengganu, Terengganu to help strengthen its product offering in the east coast. "With the current market situation, investing in real estate is one of the areas that we are exploring. We are starting to look at providing infrastructure in the east coast," its chief executive officer, Datuk Ismee Ismail, said. "We believe there is good potential for hotels in Kuala Terengganu looking at the number of direct flights available to Mecca," he said at the launch of Tabung Haji Uniteller Service in Kuala Lumpur yesterday. Ismee said Tabung Haji is in the midst of finalising the design and building plans. He added that it would be viable to have a 3 or 4-star hotel with more than 250 rooms. The hotel would cater to pilgrims in Kelantan and Terengganu performing the Haj annually, and to the public outside the Haj season. It is estimated that it would cost the pilgrims fund between RM80 million and RM100 million to build the hotel and complex. Tabung Haji is expected to start construction in the first half of next year. This is the second hotel and complex for pilgrims that Tabung Haji is planning to develop this year. Tabung Haji also plans to build a hotel, complex and conference centre at the Kuala Lumpur International Airport in Sepang, to facilitate Haj pilgrims. The ground breaking ceremony is expected to take place soon and construction would start in the fourth quarter. People familiar with the matter said the KLIA project is worth around RM150 million. It was reported that there are plans to relocate the Tabung Haji complex in Kelana Jaya to the KLIA, with the Kelana Jaya complex being turned into a Tabung Haji hotel, specifically for Haj courses. Tabung Haji currently owns hotel and complex for pilgrims in Kota Kinabalu, Sabah and in Penang. Property developer Berjaya Land Bhd (BLand) said first-quarter net profit jumped 76 per cent from last year, as earning contributions from its gaming business was able to offset the lower profit contribution from the hotel and resorts division. It registered a net profit of RM78.11 million in the first quarter, compared with RM44.37 million same period last year. Sales declined marginally by 1.17 per cent, to RM952.63 million during the quarter. "The lower revenue was mainly due to the lower revenue reported by the hotel and resorts division that was adversely affected by the outbreak of A(H1N1) influenza as well as the prevailing global economic crisis. "The higher profit for the current quarter was mainly attributed to the higher profit contribution from the gaming business arising from lower prize payout and significant net investment related income," said BLand in a Bursa Malaysia filing yesterday. However, compared against fourth quarter last financial year, sales were lower mainly due to lower sales from its gaming business, while net profit was higher against fourth quarter ended April 30 2009, mainly due to higher profit contribution from its hotel and resort division. BLand has some 47 per cent stake in number forecast operator Berjaya Sports Toto Bhd. The company expects the financial performance for its remaining quarters to be "satisfactory". BLand shares closed unchanged at RM3.78 yesterday. Sunway Holdings Bhd's wholly-owned subsidiary Sunway Construction Sdn Bhd has accepted the letter of award for a contract worth RM147.36 million from Putrajaya Holdings Sdn Bhd. The contract is for the proposed design, construction and completion of a 16-storey three-star hotel and one block of 11-storey office tower. The proposed project is expected to begin on Oct 7, with a construction period involving 36 months, the group said. It is expected to contribute positively to the group's earnings for the financial year ending Dec 31, 2010, onwards. DUBAI: Dubai’s house prices, which plunged 47 per cent in the 12 months through June, will continue to fall because of “oversupply,” Jones Lang LaSalle said. The problem “is likely to get worse before it gets better in some sectors and this will continue to place downward pressure on prices and rental levels in the short term,” the Chicago-based real estate company said. About one-quarter of Dubai’s offices are empty, and average hotel occupancy rates dropped to about 65 per cent, according to Jones Lang LaSalle. 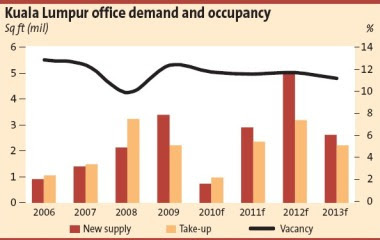 PETALING JAYA: The soft office space rentals and occupancies in Kuala Lumpur are expected to stabilise in the next six months if the economic and business outlook continues to improve, say property consultants. The city’s office market has not been spared from the effects of the global financial crisis, with easing demand pushing down rental and occupancy rates. According to Knight Frank Research’s latest Real Estate Highlights report, absorption of office space is generally slow, except for buildings which are for owners’ occupation, including Lot C, KLCC (to be occupied by Petronas) and HSBC Annexe (part of the expansion of the existing HSBC headquarters). Office occupancies started to decline in the first half of the year due to weaker demand as some companies withheld their expansion plans. Overall, the average occupancy in Kuala Lumpur in the first half-year was 83% (second half of 2008: 85%), with prime offices in Kuala Lumpur city centre having done better with an average occupancy rate of 97% (second half of 2008: 97%). Prime offices are still enjoying high occupancies due to the limited new supply of prime office space and the remaining terms of earlier tenancies locked in. Occupancy for secondary office buildings in Kuala Lumpur city centre has shown an improvement as some companies remain interested in relocating to secondary offices as a cost-saving measure amid the economic slowdown. The cumulative supply of purpose-built office space in Kuala Lumpur city centre was recorded at 41.3 million sq ft during the first half of this year while the cumulative supply in “decentralised”, or non-prime, areas of Kuala Lumpur stood at 13.5 million sq ft.
During the period, there were no significant investment sales for office property in Kuala Lumpur. However, several sales were noted in decentralised Kuala Lumpur and Petaling Jaya, which included Wisma Chase Perdana in Damansara Heights, Wisma Dijaya in Damansara Utama and Wisma Glomac 3 in Kelana Jaya. The report further said that several new office buildings currently under construction in Kuala Lumpur would add some 1.4 million sq ft in new office space in the city by year-end. The increased supply will translate into more choices for tenants and a more competitive market for property owners. “Office rentals in Kuala Lumpur will remain one of the lowest in Asia and this is an advantage in attracting foreign companies seeking space for their business expansion in the region,” the report said. The new supply coming on-stream include GTower, The Icon Jalan Tun Razak and Menara PJD, all located along Jalan Tun Razak. In decentralised Kuala Lumpur, the incoming supply in the second half include Quill Building 7, MIDA headquarters, and the head office of the Companies Commission of Malaysia. DTZ Research head of South-East Asia, Chua Chor Hoon, said office property value in Kuala Lumpur had eased about 12% year-on-year but the drop was not as steep as in other regional markets. “There are not many sellers, so there is no distressed sale. The average capital value is RM790 per sq ft,” he said in a recent report on the Kuala Lumpur office market. Chua said most of the sales were transacted by local buyers while foreign investors were staying on the sidelines in search of higher yields. YY Lau Property Solutions chief executive officer Y.Y. Lau said that on the whole, there was an oversupply of office space in the Klang Valley although certain popular locations were facing shortages. She said most of the space was taken up by existing companies that were either consolidating or expanding their operations. “To cut operation costs, some tenants have already moved to less expensive locations. “Office space that may not be of Grade A standard is still registering good demand as long as it is well maintained and the rentals reasonable,” Lau said. Tradewinds Corp Bhd (TCB), a company controlled by businessman Tan Sri Syed Mokhtar Al-Bukhary, will open its RM170 million luxury accommodation in Langkawi called "The Danna" in July next year. The Danna, to be positioned in the same league as the existing Tanjung Rhu Resort and The Datai, will be built, owned and operated by TCB, its chief executive officer Shahrul Farez said. This property will be the group's third hotel on the legendary island after the three-star Mutiara Burau Bay Beach Resort and the five-star Meritus Pelangi Beach Resort & Spa, Langkawi. Shahrul said TCB's decision to open the property in Langkawi was prompted by the high average room rates (ARRs) that the island garners. Malaysia is said to have one of the lowest if not the lowest ARRs in the world. Langkawi, how-ever, boasts the highest room rates compared with any other places in Malaysia, even that of Kuala Lumpur. The Danna is derived from the Sanskrit word, denoting "Gift". Shahrul said the new hotel, located in Telaga Harbour Park and neighbouring Burau Bay, will have 130 rooms. In 2007, TCB's 70 per cent owned Tradewinds Hotels & Resorts Sdn Bhd bought Benua Perdana Sdn Bhd, which owned the partially completed hotel. This property sits on a 11,363 sq m site, which is on a 55-year lease from the Langkawi Development Authority (Lada). The market value of the property as appraised by Rahim & CO in May 2007 was RM100 million, on a completed basis. Shahrul declined to reveal the hotel's anticipated occupancy and ARR in the first year of operations. However, luxury resort Tanjung Rhu Resort last year saw a gross operating profit (GOP) of 52 per cent and raked in RM1,500 per occupied room per night for two, including food and beverage. GOP is gross revenue (from rooms, food and beverage, laundry or business centre) minus cost of operations (such as wages, electricity and ameni-ties). Mutiara Burau Bay, meanwhile, enjoys an ARR of RM195 per night. The hotel is owned by Lada and managed by Mutiara-TCB Hotel Management Sdn Bhd, a member of the TCB group. Meritus Pelangi is owned by TCB, but managed by Singapore Meritus International Hotels Pte Ltd. 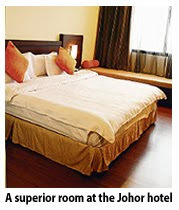 The property is TCB's best performing hotel in terms of ARR. Hospitality group Berjaya Hotels & Resorts plans to sell off its properties in Seychelles, Sri Lanka, Singapore and London to concentrate on its more profitable markets in Asia-Pacific. Chief executive officer Joseph Won said the group wants to sell Berjaya Colombo Hotel and Berjaya Singapore Hotel, exiting entirely from Sri Lanka and Singapore, despite the two being in Asia-Pacific, to focus on bigger markets. Won said if prices are right, it would also dispose of Berjaya Beau Vallon Resort and Berjaya Praslin Resort in Seychelles and Berjaya Eden Park Hotel in London. He said the group is in discussions with a few parties for its properties in Seychelles and London and hopes to sell them within the next two quarters. Locally, the group operates Berjaya Langkawi Resort, Berjaya Tioman Resort, Berjaya Redang Resort, Berjaya Georgetown Hotel, Colmar Tropicale and Berjaya Times Square Hotel in Kuala Lumpur. The properties, including those overseas, are worth a combined RM900 million. "We have made a strategic decision to be Asia-Pacific focused. We are transforming ourselves in such a way to become one of the biggest hotel groups in the region," Won said in an interview with Business Times. He added that the plan for Asia-Pacific would be to open up to 20 new hotels and resorts in Japan, South Korea, Vietnam, Maldives and Malaysia over the next six to seven years. The list would include Berjaya branded properties, which the group would own and operate on its own, and hotels operated by third parties. Berjaya Hotels & Resorts will use proceeds from the sale of the foreign properties, and its own reserves and existing cash flow to finance the expansion. In addition to opening more properties, the group will also be looking for management contracts in Asia-Pacific. 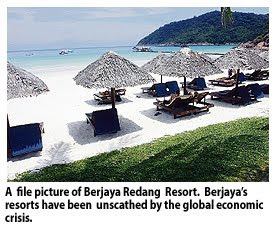 "We are getting offers from China and Vietnam to operate their wholly-owned resorts and hotels, under the Berjaya brand. This is something we would be doing on a big scale," Won said. The group, in a 70:30 joint venture with a local Vietnamese firm, is currently constructing Berjaya Resorts Phu Quoc Island in Phu Quoc Island for US$45 million (US$1 = RM3.48). Won said the new resort is targeted for opening in the second or third quarter of next year. "This is our first property in Vietnam and I wish to do more. I am bullish on the market. We will be expanding there aggressively," Won said. The group is also looking to open a city hotel in Ho Chi Minh City and a beach resort in Da Nang, within the next four to five years. Meanwhile, Won said Berjaya Hotels & Resorts may be listed in the future to expedite its expansion and unlock the value of its properties. "Listing is a possibility that everybody is talking about. My (immediate) aim is to take the group global after we have opened the new properties," he added. The hospitality group has 11 properties in Malaysia, Seychelles, Sri Lanka, Singapore and the UK which recorded revenue of RM290 million for the financial year ended April 30 2009. Hospitality group Berjaya Hotels & Resorts, a unit of Berjaya Land Bhd, expects to rake in RM310 million in revenue for current financial year, driven largely by its properties in Malaysia. Its chief executive officer (CEO) Joseph Won said the earnings before interest, taxes, depreciation and amortisation (EBITDA) for all its properties in the current year will amount to 33-35 per cent. The group has 11 Berjaya properties in Malaysia, Seychelles, Sri Lanka, Singapore and the UK, which recorded an average occupancy rate of 66 per cent and revenue of RM290 million for the financial year ended April 30 2009. Won said the group's properties in Malaysia are recording better room sales with an average room rate (ARR) of RM320 million despite the global economic crisis. 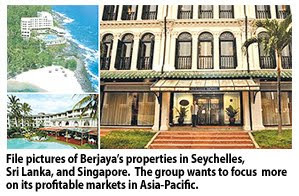 The properties are Berjaya Langkawi Resort, Berjaya Tioman Resort, Berjaya Redang Resort, Berjaya Georgetown Hotel, Colmar Tropicale and Berjaya Times Square Hotel. "We see more people travelling to our resorts in Redang, Langkawi and Tioman Island, and Berjaya Hills," he said. In comparison, the ARR for the group's overseas properties is some US$120 million (RM418 million). "Overall, we did very well in the financial year just-ended despite the global credit crunch. We are lucky to have come out of this crisis unscathed," Won said in an interview. The group remains cautious even though the economy is recovering. Won said Berjaya Hotels & Resorts will not take to raising the ARR for its Malaysian properties next year. The last time the ARR was raised was in 2006, by 10-12 per cent. Won was appointed CEO of Berjaya Hotels & Resorts in August last year. Three years since its opening, Traders Hotel Kuala Lumpur has emerged tops not only among four-star hotels in the city, but also among a handful of five-star properties. And it is making sure it holds the top seat this year and the next, says its newly-appointed general manager Richard Cooke. The hotel, owned by KLCC (Holdings) Sdn Bhd and operated by the Shangri-la Group, is only expecting a marginal decline in both average occupancy and average room rate (ARR) this year compared with 2008. "We are number one in our competitive set. We expect to retain this position this year," he told Business Times in an interview. "In the January to August 2009 compared to the corresponding period of 2008, we only experienced a slight decline (in occupancy and ARR)," Cooke said. The 571-room hotel is positioned for business travellers, as such it was hit by the global economic slowdown. However, its leisure segment has improved and has helped to cushion the decline in the business market. Business guests, which made up 85 per cent in 2007, now make up about 70-odd per cent. The remaining are leisure travellers. 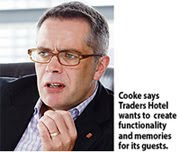 The hotel enjoyed a bumper year in 2008 and Cooke expects that Traders will bounce back in the second half of 2010 and post similar results as in 2008. Room rates next year are expected to inch up by 2 per cent to 4 per cent. Based on a search on accommodation specialist Wotif.com's website, Traders' room rate for November 25 2009, (based on a search on September 10 2009) is RM449, which is far higher than the rates at some five-star properties. Next year, Cooke has planned changes for the hotel to rejuvenate it so as to retain its lead among its competitors including improving on its service standards. "We want to create functionality and memories for our guests," he said, adding that the hotel caters predominantly to the Malaysian market, followed by the Middle East, the UK and Singapore. Forty per cent of its guests are repeat guests. This hotel has one of the leanest number of employee to room ratio of 0.8 and Cooke hopes to maintain it at this level and improve their efficiency at the same time. KUALA LUMPUR: BERJAYA LAND BHD's first quarter net profit surged 76% to RM78.11 million for the period ended July 31, 2009 from RM44.36 million a year ago, boosted by the writeback of impairment in value of investments in associated companies and its Toto betting operations. However, it cautioned that its hotels and resorts business may continue to be affected by the current global outbreak of Influenza A(H1N1) but it expected its gaming business under Berjaya Sports Toto to remain resilient. BLand said on Sept 28 that revenue slipped slightly to RM952.63 million from RM963.91 million a year ago. Pre-tax profit was RM119.9 million compared with RM83.76 million. Earnings per share were 2.34 sen versus 0.05 sen.
"The lower revenue was mainly due to the lower revenue reported by the hotels and resorts division that was adversely affected by the outbreak of Influenza A(HINI) as well as the prevailing global economic crisis," it said. As for the higher pre-tax profit, this was mainly due to the higher profit contribution from the gaming business arising from lower prize payout and significant net investment related income in spite of the lower profit contribution from the hotels and resorts division. Toto betting operations accounted for RM824.9 million of the revenue of RM952.63 million. The 1Q revenue, when compared with the fourth quarter ended April 30, 2009, showed the revenue declined to RM952.63 million from RM971.7 million but pre-tax profit rose to RM119.9 million from RM83.76 million. "The decrease in revenue was mainly due to the lower revenue contribution from the gaming business when compared to the preceding quarter which was partly mitigated by the higher revenue reported by the hotels and resorts division. "The higher pre-tax profit in this current quarter under review was mainly attributed to the investment related income as well as higher profit contribution from the hotels and resorts division compared to the preceding quarter where the group incurred impairment loss on its quoted investments, certain of its property, plant and equipment and investments in associated companies and jointly controlled entities," it said. On the prospects, BLand said given the prevailing global economic conditions, the property market continues to remain soft and the hotels and resorts business may continue to experience setback from the current global outbreak of Influenza A(H1N1). However, it expected the gaming business under BToto to remain resilient. "With this backdrop and barring unforeseen circumstances, the directors are of the view that the group's operating performance for the remaining quarters of the financial year ending 30 April 2010 will remain satisfactory," it said. KUALA LUMPUR: Glomac Bhd posted net profit of RM8.34 million for the first quarter ended July 31, 2009, up from the RM7.8 million a year ago. The company said on Sept 28 that on a pre-tax level, it was up 57% at RM16.47 million versus RM10.5 million a year ago. Revenue slipped to RM58.98 million from RM79.54 million. Earnings per share were 2.99 sen versus 2.73 sen.
"The lower group revenue was mainly due to the completion of Suria Stonor, the group’s high-end residential condominium project. Profits were substantially higher due to stronger contributions from Glomac Tower. The stronger profits in the quarter also included the recognition of fair value gain of RM4.9 million from its investment properties," it said. Glomac group executive chairman, Tan Sri F.D. Mansor said: “Overall, the group has had a good start to the current financial year" and the group's balance sheet would continue to improve upon the completion of the sale of two of its investment properties. He said the sale of the two properties would enable it to undertake more exciting development projects and seek out new development landbank. "Glomac’s financial performance in FY2010 will be supported by substantial unbilled sales of RM333 million as at end-July 2009, and new sales on recently launched projects. "The group’s new flagship development, Glomac Damansara, comprising of shop offices, office towers, serviced apartments and retail suites, has a total estimated GDV (gross development value) of RM800 million," he said, adding the first phase, comprising of five and eight-storey shop offices with a total GDV of RM53 million, achieved a take-up rate of 70% over the initial six-month launch period. Cheras is undergoing a transformation. At one time known to be a suburb for petty traders, the township of about 800,000 is slowly changing public perception. It has moved up the status ladder and today holds a large middle class population. One of Kuala Lumpur’s largest suburbs will today have what may be its first landed strata development. 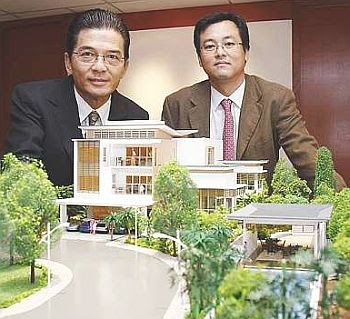 Datuk Liew Hoong (left) and his son Kim Seng, the chief operating officer, with a model of the Taynton Hill bungalows. While there are several projects there which comes with security and perimeter fencing, FAM Development Sdn Bhd says these are not strata projects. Says chief executive officer Datuk Liew Hoong: “Prior to the Building and Strata Title Act 2007, the previous Strata Title Act governed only condominium projects. While most of us are familiar with vertical strata projects, as in condominiums, there was nothing to govern landed strata projects. Under the Building and Strata Title Act 2007, only owners can decide how things are run in a gated and guarded community. “Therefore, our project Taynton Hill, which comprises 16 units of three-storey bungalows will be the first strata development here,” he says. Located in Taynton Estate, with access via the East-West highway and via Jalan Cheras, the 3.2 acre development is located next to Sri Mutiara Secondary School. Liew says there will be another proposed access via the Middle Ring Road 2 (MRR2). This will be FAM’s first project after a long hiatus of some 20 years. Its previous project was a residential and commercial development with the Sunway group in Batu Caves in the 1980s. Bungalow sizes range between 5,800sq ft and 8,600sq ft, with prices ranging from RM3.8mil to more than RM6.5mil. They are expected to be launched in the middle of next month. The modern contemporary units come with lifts. Five of the 16 units have been sold. Because the project is located on undulating land, each bungalow will be a meter lower from its neighbour. The company bought the land in 2007 for RM125 per sq feet. It is now worth about RM160 psf today. The project will have a gross development value of RM85mil. “We are targeting upgraders in Cheras between 35 and 65 years old with extended families,” he says. Over the years, Cheras has progressed from the usual double-storey terraces to include bungalows. This has subsequently progressed to pockets of small developments with security features and high-perimeter fencing. “While such projects have been popular among the Cheras population, these are public roads and the local authorities can have these security barriers removed. With Taynton Hill, it will be different,” he says. Cheras stretches from the Royal Selangor Golf Club along Jalan Tun Razak-Jalan Bukit Bintang intersection to parts of it bordering Kajang. Parts of Cheras have a Selangor address while the larger part of it comes with a Kuala Lumpur address. There are several developers who are active there at the moment other than FAM. This includes IJM group (Bukit Mandarina and Monte Bayu), Mah Sing group (Hijauan Residence and One Lagenda), Lum Chang group (Twin Palms Cheras) and SPPK with Alam Damai (Syarikat Perumahan Pegawai Kerajaan Sdn Bhd). While there are several projects going on at present, GuocoLand (M) Bhd’s bungalow and high-rise condominium development Cirrus Cheras will be the one that is physically nearest to FAM’s Taynton Hill. That project is on 16 acres versus FAM’s 3.2 acres. Besides the larger players, there are also several small developers in that area. Liew says because Cheras is large and sprawling, it is home to a large cross section of the Kuala Lumpur population. “Several generations stay here and there is constant upgrading among the population. Therefore, even very small developers with small plots of land tend to enjoy good sales when they build here, particularly if the project comes with some sort of security elements,” says Liew. FAM Development Sdn Bhd is a family business, with Liew at the helm. He is assisted by three of his four children currently. Besides property development, the FAM group has interest in plantation and other business ventures in China and Hong Kong. Infrastructure projects have a way of uplifting people and heralding more vibrant changes to the way they live and their overall quality of life. There are also many benefits, both socially and economically, that can be reaped from having good infrastructure projects. Projects with high multiplier effects on the country’s social and economic sectors should be identified and implemented. Realising the many multiplier benefits that can be derived from infrastructure projects, governments around the world are paying greater attention to leverage on infrastructure projects to get their economies out of the rut of the global financial crisis. From Australia to China and India, many new infrastructure projects, especially public transport system, highways, schools and other public facilities are being built to generate more economic activities for the people. This is certainly one of the few positive outcomes of the global turmoil. Malaysia has done pretty well compared with some other countries in the region in terms of infrastructure development and today boasts of some world-class infrastructure projects such as the North South Expressway and Kuala Lumpur International Airport. But there are still many areas that need greater fund allocation and resources that have the potential to spawn more positive impact to a broad spectrum of economic and non-economic sectors. Projects with high multiplier effects on the country’s social and economic sectors should be identified and implemented. To ensure their success, the key is speedy and efficient implementation. In light of the worsening traffic congestion and poor public transport system that have been endured by folks in Kuala Lumpur and the Klang Valley for the past many years, this will be the best opportunity for immediate action to be taken to overhaul the whole public transport system. After all, the public transport system that includes the various modes of transport facilities and road networks are one of the most widely used public facilities among the people. It looks like the single most effective initiative will be to set up a single authority to look into all the initiatives to streamline and integrate the whole public transport system. Such an initiative will ensure all the avenues that are necessary to overhaul and improve the public transport system to be made the top priority and be given due and immediate attention. After more than a decade of the introduction of Star LRT in 1996, the light rail transit (LRT) system is still not functioning to its optimum capability and many find the facility wanting with much room for improvement. Firstly, the two LRT systems under the STAR and Putra lines, along with the KL Monorail, commuter train and feeder and public bus services need to be integrated and should complement one another. This means facilities that will promote wider usage of public transport including providing sufficient car parking lots for those who are staying in areas without feeder bus services should be looked into. The routes of the feeder buses and their regularity and reliability should be further improved. While the latest initiative by the government to spend RM7bil to extend the Kelana Jaya and Ampang LRT lines over the next three years is lauded, the ancillary facilities to encourage its usage should be built in advance. When our public transport system proves its efficacy and lives up to the people’s needs and expectations, working and living around the city and the peripheral areas will be much more enjoyable. Certainly the quality of the environment (less pollution and noise) will move up many notches. Deputy news editor Angie Ng feels that putting in place a highly efficient and widely used public transport system will be worth the while and is one of the better legacies a government can provide for its people. LOS ANGELES: Luxury hotel owners risk defaulting on their debt as the recession cuts occupancies and the credit crunch constrains refinancing. Loans secured by more than 1,500 hotels with a total outstanding balance of US$24.5 billion (US$1 = RM3.48) may be in danger of default, according to Realpoint LLC, a credit rating company that tracks commercial mortgage-backed securities. Some of the biggest loans, put on the company's watch list because of late payments, decreasing occupancies or cash flow, were made to luxury properties where rooms can cost more than US$850 a night. "All segments are showing signs of distress but the luxury segment carries much higher loan balances and is more clearly affected," Frank Innaurato, managing director of CMBS analytical services at Horsham, Pennsylvania-based Realpoint, said in an interview. Lodging owners are struggling after adding rooms and properties at the peak of the CMBS market from 2004 to 2007, when US$83.4 billion in hotel-backed securities was issued. Occupancy among chains with the costliest rooms fell to 60 per cent in the first half from 70 per cent a year earlier, according to Smith Travel Research. The decline was the industry's largest for that period. "Luxury hotels have been aggressively financed during the peak CMBS issuance years," David Loeb, an analyst at Robert W. Baird & Co, said in a phone interview. "That's why luxury hotel loans crowd these watch lists." A US$90 million loan secured by the Four Seasons San Francisco, a 277-room, five-star property, is 90 days delinquent and foreclosure proceedings have begun, according to Realpoint. A notice of default has been filed, according to data. The borrower was Millennium Partners LLC, a real estate firm founded in 1990 by Christopher Jeffries. The company controls 1,860 residential units, more than 2,000 hotel rooms and 1 million sq ft of office space, Realpoint said. The Dream Hotel, a 220-room hotel on West 55th Street in New York City that features 300-thread count Egyptian bed linens and iPods, is collateral for a US$100 million loan taken by Surrey Hotel Associates LLC that's at risk of default, Realpoint said. The borrower is trying to restructure the debt and defer payments, said Riyaz Akhtar, vice president at Surrey. "What's happening to us now is happening, and will continue to happen, to many hotel properties given the current market," Akhtar said. The US hotel loan-delinquency rate may climb to 8.2 per cent by year-end, Morgan Stanley analysts led by Andy Day said in a June 23 report. That will match the peak from the last recession in 2001. Upscale hotels are suffering from "a heightened focus on prudent corporate travel expenditures," as well as the pullback in vacation travel, Day said. The number of luxury-brand rooms in the US as of the end of July rose 9.1 per cent from a year earlier to 100,000, Loeb said. LONDON: In view of the current residential market in London, some local property investors are now eyeing for upscale properties at London in anticipation of the substantial investment gains out of these prime residential properties located outside our home ground. Some local buyers have recently snapped up a number of luxurious apartments and penthouses at Imperial Wharf, London with a minimum estimated sales of £9.24 million (RM56 million) generated during its 2-day launch in Kuala Lumpur. Developed by one of London's leading residential developers St George Central London Ltd (St George), the prime riverside development Octavia House at Imperial Wharf, London has seen 32.5% (28 units) of its 86 apartments and penthouses, offered at prices starting from RM2 million to RM23 million taken up during the launch. Having said that, the developer which also aimed to penetrate the Hong Kong and Singapore market with the same property launch in September, managed to set an overall high sales record of approximately 98% out of the total 165 apartments and penthouses at Octavia House offered to investors and homebuyers. With sizes ranging from 903 sq ft to 3,532 sq ft, these units which are located in a prime London residential location, on the north bank of the River Thames and adjacent to fashionable Chelsea, says the developer. By the time their children graduated in the span of few years, investments gains out of capital appreciation may easily cover at least half of the education fees, or in some exceptionally good investments, these could even exceed the total education cost forked out by the parents. In addition, “Local buyers who are non UK residents are exempted from UK's capital gains tax, the same applies back here where Malaysian residents are also exempted from capital gains tax upon disposal of properties located out of Malaysia under the Malaysia's Real Property Gains Tax Act 1976,” said Chow Chee Yen, the executive director of international tax at Malaysian-based consulting firm Advent Tax Consultants Sdn Bhd. “Investors should capitalise on the current low base interest rates and currency exchange rates in the UK. It is now a good time to buy prime properties in London,” Bowron said, noting that the apartments located in prime locations in London could generate an average rental yield of 4% to 6% per annum. “The Bank of England is expected to keep interest rates at this level into 2010 whilst continuing its quantitative easing (QE) programme,” said Jones Lang. In addition, Liam Bailey head of residential research at Knight Frank said, “The real test to the market will come when interest rates rise in either 2010, or if we are lucky 2011. The special impetus on very low interest rates will not last forever and the medium term outlook is probably less positive for the market. Bailey added that the weakness of pound at the start of this year aided the recovery of demand in central London, set against continuing tight supply- by March, its prices had fallen almost 50% in US dollar terms. “The sales taking place in London for the first three weeks in September was 75% higher than the same period last year, and we expect tight supply for the remainder of this year,” Bailey said. Despite this recent growth, Bailey said prices are still 18% below their March 2008 peak and represent 8.9% lower than they were 12 months ago. The strongest areas have been Chelsea, Kensington and Notting Hill, where prices have risen by between 8% and 9% since March, he added. Although Bailey suggested that these price increase may be short term, the key drivers of price growth remain: tight supply of properties, very low interest rates for cash-rich buyers and strong overseas demand for central London properties. Surprisingly, Bailey said since the market improvement in April, it has been the lower end of the market which has led the recovery. “Prices in the £1 million to £2.5 million market have risen more than 5% in the last three months, compared to only 2.4% for houses priced £10 million and above market. Houses continue to outperform flats - with three-month price growth up by 4.6% and 3.6% respectively,” he cited. The current economic downturn and unsteady foreign exchange have opened doors of opportunity for investors to invest in the property market overseas, particularly in Down Under. “It is the right time to make a choice investment overseas, particularly in the Down Under market,” he said. To promote such sales, Raine and Horne is co-hosting a four-day preview of the property available in the Australian market with an Aussie based Original Property Brokers (OPB) beginning tomorrow. The preview will be held at 14, Penang Street. OPB director Samantha Payne, a licensed real estate agent in Australia and Dubai, will meet prospective investors to provide advice and share information on Perth’s and Western Australia’s attractiveness. 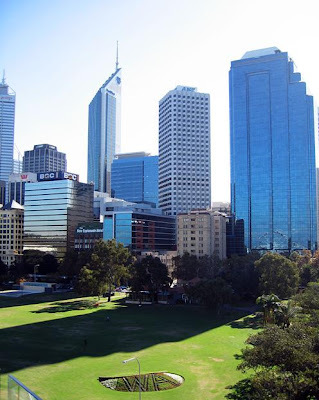 “The future of the Australian property market and in particular Western Australia’s property market is extremely bright and seen by most as one of the optimum global places to invest. “The reasoning behind this is the lack of housing — whereby demand far exceeds supply —brought about by the influx in migration, education, and conducive climate and probably the most important, the A$200 billion invested in the huge natural resources sector that are producing large employment growth,” she said. Payne will also cover migration visa options, rapidly growing property market, finance options for investors and migrants, business and joint-venture opportunities, relocation services and education facilities and locations. Geh said local investors could tap Raine and Horne’s vast network of affiliate offices in Australia for insider information to invest. Interested parties should call Mac at 016-5685889 and Wan at 012-5288163 or email mikegeh@teamrhpg.com to make an appointment with Payne and her team. SINGAPORE: Singapore’s US$200bil-plus sovereign wealth fund GIC will likely reveal next week if it is moving more money into property, resources and Asian assets after recently cutting its exposure to major Western banks. GIC, or Government of Singapore Investment Corp, is due to release its annual report for the year to March 2009, only the second year the fund will make the report public. GIC is the world’s fourth largest sovereign fund after Abu Dhabi, Saudi Arabia and Norway, according to Deutsche Bank. It is a major investor in financial giants UBS and Citigroup, even after halving its stake in the US bank to under 5%. While GIC does not reveal the size of its assets or list its biggest investments, how GIC allocates its funds by geography and asset class will provide cues about its strategy, investment outlook and risk appetite. It will also outline the proportion of cash in its portfolio, which it could use for new investments. About 44% of GIC’s portfolio was in stocks and a further 26% in fixed income at end-March 2008. Analysts said GIC may park more money into physical property, which accounted for 10% of assets last year, and may have stepped up its investment in natural resources, which accounted for just 2% of assets. “GIC’s real-estate side will perhaps become more busy these days, given the huge collapse in global property, which will give GIC a chance to spot opportunities, especially in the US,” said Song Seng Wun, economist at CIMB in Singapore. David Cohen, director of Asian forecasting at Action Economics, said it made sense for GIC to shift more of its assets to Asia, given the Singapore fund’s familiarity with the region as well as the better growth prospects. GIC has outsourced about one-third of its funds to external managers, helping Singapore become a major Asian funds centre over the past decade. GIC will also state its average return over the past 20 years, which most likely dipped from the 7.8% it reported last year. More interesting to investment bankers and fund managers will be the amount of cash held by GIC, which stood at 7% at end-March 2008, despite the Singapore fund’s near US$18bil bets on UBS and Citigroup in December 2007 and January 2008. “In this current environment of low interest rate, holding a lot of cash would not exactly be maximising your return,” said CIMB’s Song. KUALA LUMPUR: Selangor Properties Bhd posted net profit of RM33.3 million for the third quarter ended July 31, up 182% from RM11.8 million a year ago, boosted by foreign exchange gains and higher profits from property development. It said on Sept 25 revenue rose 36.5% to RM70.55 million from RM51.68 million. Earnings per share were 9.69 sen versus 3.44 sen.
Selangor Properties said pre-tax profit was RM41.94 million compared with RM13.1 million a year ago. "The higher profit achieved for the current quarter was mainly due to foreign exchange gain of RM18 million as a result of the strengthening of the Australian Dollar and higher profit from property development," it said. In the second quarter ended April 30 it posted a pre-tax loss of RM31 million due to the provision of impairment loss on its offshore investment in real estate funds. However, for the nine-months, it was still in the red with net losses of RM3.54 million compared with RM85.65 million in earnings in the previous corresponding period. Revenue was RM166.58 million versus RM146.71 million. On the outlook, Selangor Properties said the current global economic meltdown had resulted in provision for impairment loss on its offshore investment in real estate funds. "Accordingly the group expects this current situation would affect the financial performance for the current financial year. However the group will remain cautious and will continue to strive to preserve the shareholders value," it said. 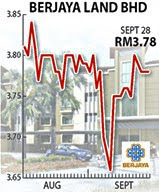 KUALA LUMPUR: Selangor Properties Bhd’s (SPB) net profit surged 182% to RM33.3mil for the third quarter ended July 31 from RM11.8mil a year ago mainly due to foreign exchange gains and higher profits from property development. Its revenue rose to RM70.5mil from RM51.7mil previously. Earnings per share stood at 9.69 sen against 3.44 sen a year ago. For the first nine months, SPB posted a net loss of RM3.5mil against a net profit of RM85.6mil previously. KUALA LUMPUR: AMDB Bhd hopes to penetrate the property market in Britain via wholly-owned unit Walleng Enterprise Sdn Bhd, which has subscribed for 60% in Westlink Global Investment Ltd (WLG). In a filing with Bursa Malaysia yesterday, AMDB said Walleng had subscribed for 60 ordinary shares of £1 each in WLG, representing 60% of the issued and paid-up share capital of WLG at par for £60 cash. WLG would become an indirect subsidiary of AMDB upon completion of the subscription. Following the subscription, Walleng has committed to provide shareholders’ advances to WLG of up to £13.5mil (RM80mil). “Due to the contraction of the global economy, the subscription in WLG represents a timely opportunity for AMDB to enhance shareholders’ long-term value by penetrating and gaining access to the property market in Britain,” it said. AMDB said due to the financial crisis, property values had dropped significantly and fundamentals showed it was now the right time to invest in the London property market, which offers prime properties in a highly liquid market. WLG has entered into a sale and purchase agreement with LS Victoria Properties Ltd to purchase a property located in London for £50.5mil. The property comprises two freehold office buildings known as 40 and 50 Eastbourne Terrace located in Paddington. “The property provides a net lettable space of 146,000 sq ft of retail and office accommodation which are currently let to a variety of tenants with about 94% occupancy. Based on current rentals from the tenants, the net rental yield on the property is 8.65%,” AMDB said. In a separate statement, AMDB said wholly-owned subsidiary AMDB Technics Sdn Bhd has entered into a sale and purchase agreement with SGB-SMIT International GmbH to dispose of 35% of equity interest of AM SGB Sdn Bhd for RM31.2mil cash. AMDB Technics would cease to be a shareholder of AM SGB upon completion of the disposal. AMDB is expected to record a gain on disposal of about RM9.7mil from the disposal based on the carrying value of RM21.5mil as at Aug 31. It would utilise RM21.2mil from the proceeds to repay its borrowings, RM10mil as working capital and the balance for expenses for the disposal. BEIJING: Chinese housing prices have surged since March, but they will soon lose momentum and even start to fall around the end of the year, boding well for a more sustained contribution to overall economic growth, according to Reuters. A burst of lending in the first six months helped fuel a wave of pent-up end-user buying and speculative purchases, driving up prices for some projects in major cities by 20-30 percent and creating concerns about dangerous bubbles. Speculative transactions are subsiding now; at the same time, a fresh round of property investments will increase supply. The resulting moderation in prices, far from signalling the next phase of a boom-bust cycle, will probably pave the way for steadier demand from owner-occupiers, providing a valuable prop for an economy adjusting to a slump in exports, analysts say. "First we see transactions fall, then prices will decline," said Ge Haifeng, deputy head of data research at the Beijing-based China Real Estate Index System, which is affiliated with SouFun.com, China's biggest property website. Transaction volumes in Beijing, for instance, fell 5.6 percent in August compared with July, the second straight fall after a four-month streak of gains, according to the city's housing management bureau. In the eastern port city of Ningbo, they were down 37 percent. That has not been by chance. Worried by the spike in house prices, authorities in Beijing, Shanghai and other major cities attempted to curb speculation by introducing measures in July to make it harder for people to apply for second mortgages. Such moves will increase the cost of buying a home and push down prices, said Fan Jianjun, a senior researcher at the Development Research Centre, a government think tank. The drop in new bank lending -- to an average of 383 billion yuan ($56 billion) in July and August compared with a monthly average of over 1.2 trillion yuan in the first half -- will also pull down transactions in the coming months, said Gao Shanwen, chief economist at Essence Securities. Policy tweaks and slower lending will probably be enough for now, analysts say, allowing Beijing to stop short of declaring a full-fledged campaign to stamp out property speculation similar to one in 2007. Ge projected that housing prices would drop towards the end of 2009 or early next year, by about 10 percent, much less than a 20-30 percent fall witnessed last year. Song Li, a senior analyst at Centaline Property Research Center in Shanghai, gave an even bolder forecast: "We expect prices to peak in September." Andy Rothman with brokerage CLSA in Shanghai disagreed that the recent burst of buying and price increases made the sector vulnerable to a setback. He said the market was growing at a healthy, sustainable pace, driven by fundamental demand. "In our view, we are in the early stages of a long-running, moderately paced inflation cycle in residential real estate prices in China," Rothman said in a report. Rothman saw a risk that increasingly tight supply could drive prices up too fast, but figures on housing starts and investment suggest that danger is unlikely to materialise for now. The recent recovery boosted developers' confidence so much that many are replenishing their land banks. Some, like China Vanke Ltd, Gemdale Corp and Poly Real Estate Group Co, have rushed to raise money for future expansion. Nationwide, real estate investment rose almost 35 percent in August compared with a year earlier. The growth rate in July was 20 percent and just 1 percent in January and February. The government also appears determined to avoid supply bottlenecks as more people look to buy their own homes. The Ministry of Land and Resources said last month it would carry out checks on land that is lying idle, sending a warning to developers to either quicken their CONSTRUCTION  plans or hand back the plots to the government. Beijing is unlikely to clamp down any harder in the near term given the importance of a healthy property sector to the overall economy, said Tao Wang and Harrison Hu with UBS in Beijing. Building houses creates demand for materials and labour as well as for appliances and furnishings, stimulating consumption. "We think the recent strong momentum in property sales may taper off somewhat in the coming months," they wrote in a report. "Nevertheless, we think the construction and investment in the property sector will continue their path of recovery. While we expect more piecemeal measures to prevent housing prices from rising too rapidly, we do not expect an overall tightening." PETALING JAYA: Analysts are generally more bullish on the construction sector since last week’s announcement that state transport firm Syarikat Prasarana Negara Bhd has been given the nod to extend the Kelana Jaya and Ampang light rail transit (LRT) lines, estimated to cost RM7bil. A local analyst said the project would have significant and positive impact on the sector, create spin-offs to boost employment, besides helping to ease traffic congestion. “The extension of the Kelana Jaya and Ampang LRT lines will also help increase the value of properties along the lines,” he told StarBiz. He said it was not uncommon for properties within walking distance to the LRT stations to appreciate, but it also depended on the location. He also said the extensions, slated to be completed in three years, would serve the transport needs of those living or working further from the Kuala Lumpur city centre, thereby easing congestion and improving transport efficiency. At this moment, it is unclear whether Prasarana, a wholly-owned unit of Ministry of Finance Inc, will award the entire project to one company or a consortium of companies. “Many leading construction companies are definitely eyeing a major slice of the cake,” the analyst said. An analyst with OSK Research also concurred that the extension lines would help lift property prices, especially for properties near the stations. He said prequalification tenders for the construction of the extension lines were expected to be called next month and contracts awarded only from early 2010. “This, we reckon, is very timely as the estimated completion of the extension lines by early next decade will likely coincide with the expected boom in the mass to mid housing market, thus giving many of the townships along these upcoming LRT lines the leverage to ride on the next major upcycle,” he said. The Kelana Jaya line would extend from the Kelana Jaya station to Subang Jaya and USJ, before ending in Putra Heights. A total of 13 stations will be located along the 17km Kelana Jaya extension. There will also be an interchange at the existing KTM line located behind Carrefour in Subang Jaya. The analyst said the extension would serve the densely populated and mature townships such as Subang Jaya and USJ. “There is a sizeable student population within the enclave and its vicinity as it houses a number of colleges and universities, such as Taylor’s College, INTI College and Metropolitan College,” he said. The analyst said the Ampang extension line would start from the existing Sri Petaling station, pass through Bandar Kinrara, Bandar Puchong Jaya and Bandar Puteri Puchong before ending in Putra Heights. The 17.7km Ampang extension will also have 13 stations. Both the Kelana and Ampang extension lines will connect at an interchange in Putra Heights. 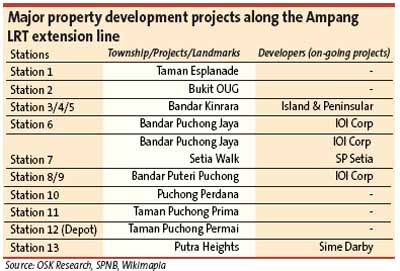 The OSK analyst said in contrast to the Kelana Jaya extension line, the Ampang line would pass through many new but fast growing townships in the south-east of the Klang Valley. Foreign research house Credit Suisse said in its Sept 14 note that the rollout of this RM7bil project was the next major catalyst for upward re-rating of the construction sector in the country. NEW YORK: US mortgage applications jumped last week to their highest since late May as interest rates tumbled below 5 per cent, data from an industry group showed yesterday. The Mortgage Bankers Association said its seasonally adjusted index of mortgage applications, both purchase and refinance loans, for the week ended September 18 increased 12.8 per cent to 668.5, the highest level since the week ended May 22. While consumers clamoured for home refinancing loans, their appetite was also robust for applications to buy a home. Property developer Sunway City Bhd has taken a RM600 million loan from four local banks. The Naza group plans to expand its portfolio to include four- and five-star as well as boutique hotels. The Naza group, most known for its automotive business, is moving aggressively into the hotel sector and plans to expand its portfolio to include four- and five-star as well as boutique hotels. Nur Nadia SM Nasimuddin, head of its hotel division, said that each category will be branded differently albeit under the Naza umbrella. Currently, the division has a hotel each in Penang, Johor Baru and Malacca, opened in the last six years. The Naza hotels are rated three- and four-star, and have around 130 rooms each. The group also holds the franchise to operate Howard Johnson Torrance and the Crowne Plaza Hotel in San Pedro, Los Angeles, in the US. Nur Nadia said the hotel division makes less than RM4 million in revenue currently, but expects it to increase to RM6 million next year before growing in double digits. "We are doing a few things this year to build our portfolio. We are rebranding Naza Hotel as Naza Talyya Hotel at a cost of RM1 million," she said, adding that it targets to launch the new brand by the end of next month. The group had earlier spent RM18 million to give its properties a facelift. The exercise was completed in March. "We are spending to improve the properties. As such, the hotel division won't be making much profits in the current year," Nur Nadia told Business Times in an interview. "We hope to have a few more hotels in our stable in the next three to five years. We will open a fourth Naza Talyya Hotel in the Klang Valley by year-end," she added. Naza will rope in foreign designers to work on the interior of the hotels in the pipeline, and renowned architects for exterior works. The group will ensure that the location and room count are feasible before it embarks on a new hotel venture. Nur Nadia, youngest daughter of the late Naza founder and chairman Tan Sri SM Nasimuddin SM Amin, also said that its boutique hotel concept will be similar to those in the US and Europe. "There are currently not that many boutique hotels in Malaysia. I am looking at doing something unique and I believe there is room for growth," she said. The Naza group, founded by the late Tan Sri SM Nasimuddin SM Amin in 1974, ventured into the hospitality business six years ago when it bought three buildings and converted them into hotels. The country's biggest privately-held automotive group's hotel unit, known as Naza Hotel, is in the midst of being rebranded as Naza Talyya Hotel. The hotels in Penang, Johor Baru and Malacca have three- and four-star ratings, with around 130 rooms each. Head of the hotel division, Nur Nadia SM Nasimuddin, said the group recently spent RM18 million to give the hotels a facelift. "For new hotels, we are looking to construct them on our own so that we can look into every detail of the development," she told Business Times. 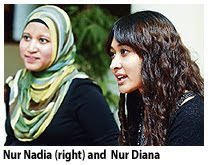 Nur Nadia is the youngest of Nasimuddin's five children, aged 23 to 32, who are all involved in the group's operations. The older children are SM Faisal, Nur Diana, SM Nasarudin and SM Faliq. Nur Nadia, who has a degree in management studies, also heads the division's food and beverage business. PENANG-BASED Ivory Properties Group plans to launch four properties, with a combined gross development value (GDV) of RM2 billion, within the next four years. Its executive director Datuk Seri Nazir Ariff Mushir Ariff said that three of the projects will be in Penang, while one will be in Tanjung Malim, Selangor. On Penang island, Ivory will embark on the RM255 million Island Resort development along the Batu Ferringhi tourist belt, comprising condominium and resort villas. "We have also received approval from the local authorities for the RM300 million Tanjung Tourist Mall project in Tanjung Tokong," Nazir Ariff told Business Times. The proposed project includes condominiums perched above a shopping mall, retail outlets and a transportation hub. "The almost 300,000 sq ft shopping area will be enhanced with a tropical-style interior design, teamed with appealing landscape elements, giant palm trees and water features." Within close proximity of the mall is the RM400 million The Peak development, located at the foot of Mount Erskine. The three-phase project on 5.48ha, features condominiums and eight units of a four-storey shop-office. On the mainland, Ivory's RM88 million Aston Villa project in Bukit Mertajam also features condominiums, landed property and commercial lots. "This project is targeted to be completed two and a half years from now," Nazir Ariff said. The RM420 million Ivory Eco Park in Tanjung Malim entails residential and commercial properties. Ivory, which celebrates its tenth anniversary this year, touts itself as a fully-integrated developer that does not outsource any work on its projects, from planning to managing the completed properties, to control costs, timing and quality. Having completed projects with a GDV of RM680 million in Penang and with RM480 million of jobs, the company is considering a listing. "Although we received the nod from the Securities Commission last year to list, we have deferred our plans due to the market situation," Nazir Ariff said. "We have since upgraded our figures and submitted a revised scheme to the authorities, and are awaiting approval." French-Based Club Mediterranee, which operates the Club Med resort chain, may set up another village in Malaysia if it gets the chance to take over an existing property with a management contract. Club Med vice-president of marketing and general manager of commercial for Asia-Pacific, Olivier Horps, said having a second resort in Malaysia would help to boost its revenue for Asia-Pacific. "We may look at Kota Kinabalu, Sabah as a second destination. It could happen soon if there is a proposal from somebody," Horps told Business Times in an interview. He said currently, a lot of foreigners are travelling to Malaysia and staying at its sole resort here, the Club Med Cherating in Pahang. Club Med Cherating, which was set up in 1979, is poised for further development, having last been refurbished at a cost of RM30 million in 2004/2005. The refurbishment had helped increased its occupancy rates from 50 per cent in 2004 to between 60 per cent and 65 per cent. The resort, which has about 700 beds, looks at the number of beds instead of rooms to gauge its occupancy. It now sells each room from RM550 per person per night, inclusive of accommodation, three meals, snacking and free flow of alcohol and non-alcohol beverages and entertainment. "We review our (room) prices each year. The only time we raised room rates by a higher percentage was recently, when we included the two-day/one-night stay package with free-flow of beverages and dining. But it has improved our sales volume," Horps said. "We will make investments this year to add environment-friendly activities, instead of increasing rooms. We plan to create a new path in the jungle. We have cliffs looking into the sea and may create new activities there," Horps said. Club Mediterranee, set up in 1950 by Gerard Blitz, has 80 resorts in its global portfolio with Malaysia being the first country in Asia-Pacific to have a Club Med resort.